We have launched the Jewish Art Calendar Campaign. The beautiful, colorful calendar for (Jewish/Lunar) Year 5779 corresponding to September 2018 – September 2019, will be distributed to all Jewish households and to many friends of the Jewish community across South Dakota. Please support the calendar campaign, strengthening Jewish identity, culture, and community. Our deadline is July 30, 2018 as the calendar will be sent in time for the High Holidays! 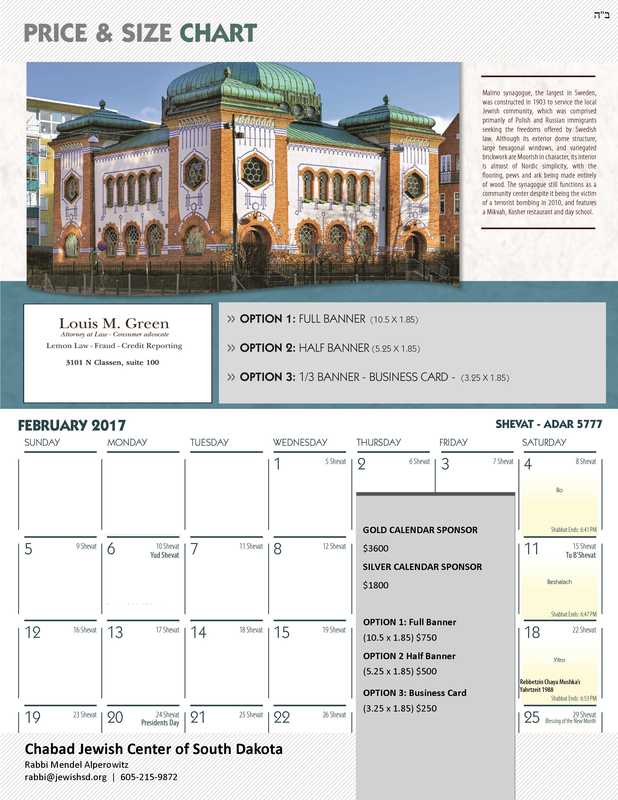 Purchase your calendar ad today!